Westin Pro Traxx 5 in. nerf step bars feature a 5 in. 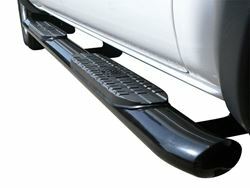 oval tube with a heavy-duty step pad that gives you a wider and more secure step area. 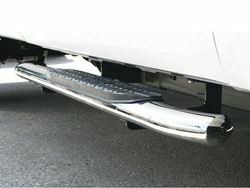 This will make sure it is safer and easier to get into your vehicle. The bars have a 30 degree bend at each end and seamless domed end caps so there are no seams or exposed bolt heads. 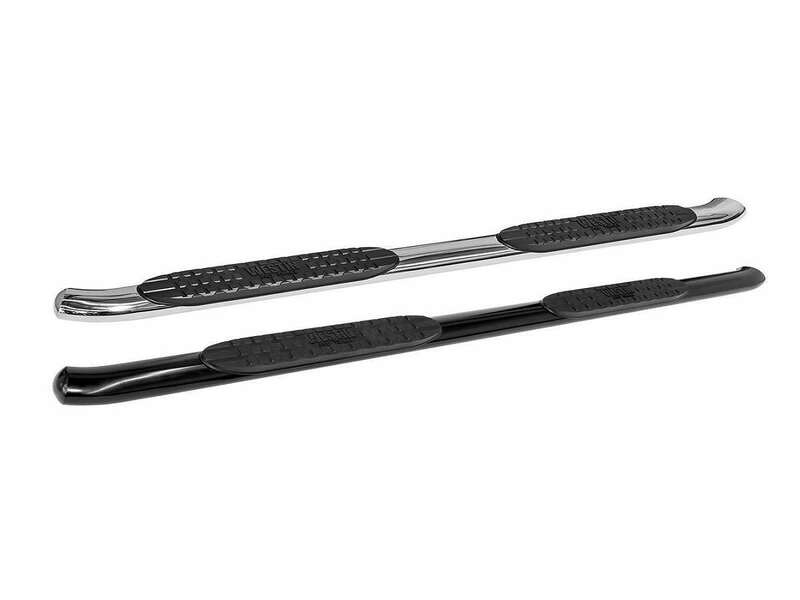 This gives the Pro Traxx a clean and finished look that most other bars can't come close too. The bars come in two finishes, stainless steel or a black powder coated steel. Installation is bolt-on so there is no drilling into your vehicle and these are backed by a Westin warranty. The stainless bars have a lifetime warranty while the black powder coat have a 3 year warranty.